Professor Marilyn Cruickshank is a registered nurse and Professor of Nursing Research at University of Technology Sydney. In this role, Marilyn provides a leadership role for nursing research within the Sydney Children’s Hospitals Network. Prior to this Marilyn was Director of the national HAI program at the Australian Commission on Safety and Quality in Healthcare for a ten year period where she led work on national HAI surveillance, the national hand hygiene program, antimicrobial stewardship, national infection control guidelines, and Standard 3 of the National Safety and Quality Health Service Standards. Marilyn developed a keen interest in infection prevention and control as Clinical Nurse Consultant for paediatric HIV, developing guidelines and policies for maternal transmission and for children with HIV in hospitals and the community. Her PhD topic included the epidemiology of paediatric HIV in Australia. 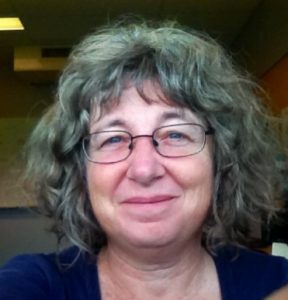 Marilyn is also a member of the Australian Scientific and Technical Advisory Group (ASTAG), and formally the Chair of the AMR Standing Committee. Marilyn has co-edited a number of publications on national AMS and HAI surveillance and represented Australia at international meetings, such as APEC and the Western Pacific Regional Office of the World Health Organisation. Marilyn was appointed as professor at School of Nursing and Midwifery, Griffith University in 2015. Professor Ramon Shaban is an internationally respected clinician, educator and researcher. A nurse scientist, infection control practitioner and emergency nurse, Professor Shaban’s expertise emergency care and infection prevention and control is the basis of a highly successful and integrated program of teaching, practice, and research. He is Clinical Chair, Infection Prevention and Control Sydney Nursing School and Marie Bashir Institute for Infectious Diseases and Biosecurity, The University of Sydney and Western Sydney Local Health District. He is an active member of variety of professional groups and committees including the Australian Strategic and Technical Advisory Group on Antimicrobial Resistance, Editor-in-Chief of the Australasian Emergency Nursing Journal, and Editor of the journal Infection, Disease and Health. Sally is a committed Infection Control Professional of ten years, with a passion for improving and ensuring safe patient care. Sally’s current experience includes management and completion of large scale, multi-centre research projects (including ethical clearance and protocol development) as well as extensive project management experience in the development and roll out of a large national infection prevention program. Sally has experience managing multidisciplinary research and project teams, with an active commitment to Infection Control and Infectious Diseases research, both nationally and internationally. Sally has received Certification at the level “Expert” with the Australasian College of Infection Prevention and Control (re-credentialed 2017). An Infection Control Professional since 1993, Deborough has augmented her experience with formal study and research, completing the APIC Basic Infection Control Course in Chicago in 1995. Her PhD awarded in 2005 was based on ethnographic research into the influence of clinical culture on infection control practice. Deborough contributes to the profession through membership and service most recently to ACIPC on the Credentialing and Professional Standards Committee and as an Associate Editor of Healthcare Infection. 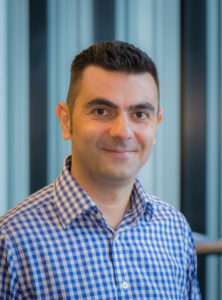 Stéphane Bouchoucha is a senior lecturer and researcher at Deakin University. With over 20 years’ experience as a registered nurse and an academic, Stéphane has worked in a variety of clinical (critical care, Infection Prevention and, Leadership and management) and community settings. Stephane’s involvement in Infection Prevention and Control dates from the late 1990s when he was a volunteer with AIDES (The main French NGO dedicated to HIV) and subsequently worked there, leading the French involvement into Eurossuport 1, a Europe wide study investigating HIV/AIDS patient access to care in European countries. Stéphane has developed a program of research in infection prevention and control informed by his Master of Science (Public Health) and PhD where he investigated the psychosocial factors affecting adherence to Standard Precautions and developed and validated a scale: The Factors Influencing Adherence to Standard Precautions Scale (FIASPS). As an early career researcher, Stéphane was successful in receiving 2 early career grants in 2016, one of which was from the ACIPC to consolidate infection prevention and control work. Kristie Popkiss is motivated, passionate and committed to the field of Infection Prevention and Control because of the significant impact that it has on patients, visitors and staff in our health services across Australasia. She believes that Infection Prevention and Control requires more visibility, transparency and a higher profile, to improve the level of safety in healthcare facilities. 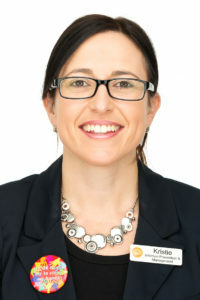 Kristie is currently the Infection Prevention and Clinical Operations Manager at Fiona Stanley Hospital for Serco and is a Credentialled Infection Control Practitioner – Expert level, with over 10 years’ experience in the field. Kristie’s goal is to further contribute to the greater vision of improving both the culture and best practices of Infection Control for Australasia. 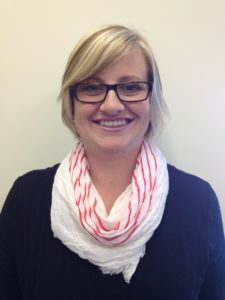 Sandra Roodt is a Registered Nurse with 8 years’ experience working in Infection Prevention and Control in Australia. Sandra currently holds the position of Infection Control & Staff Health Manager at Calvary Public Hospital Bruce in Canberra and recently also took on responsibility for the Infection Prevention & Control program of the newly built Calvary Bruce Private Hospital. Prior to immigrating to Australia in 2009, Sandra was a Nursing Officer in the South African National Defence Force (SANDF) for 14 years. Sandra has completed a Master of Public Health (major in communicable diseases) in Dec 2016 and is currently in the process of applying for credentialing (CIPC-E level) through ACIPC. 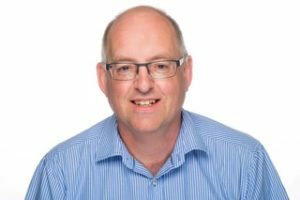 Michael Wishart is an infection control specialist with over 20 years’ experience of managing infection control programs and consulting on infection control issues. Michael established and maintains an ACIPC endorsed email discussion list for discussion of infection control related matters by Australian infection control professionals (http://aicalist.org.au/archives) and has worked as a consultant for hospitals, day procedure centers, and office practices through HICMR Pty Ltd. Michael is an experienced educator and has provided infection control education sessions for residential aged care establishments through ACHA Health and RCNA as well as yearly two-day infection control seminars for health professionals at Ashford Hospital. Michael also worked as a technical consultant to CDNA national infection control guidelines review steering committee. Michael is registered with AHPRA as a Registered Nurse and is in the process of applying for Credentialling (CIPC-E level) through ACIPC. He currently coordinates the infection prevention and control program at Holy Spirit Northside Private Hospital in Brisbane. Associate Professor Thea van de Mortel, RN, BSc. (Hons) (Biology), MHlthSc., PhD, is Deputy Head of School (Learning and Teaching) in the School of Nursing and Midwifery at Griffith University. Thea was a Clinical Nurse Specialist in Intensive Care who developed an interest in science and infection control due to the high rate of hospital acquired infections in critically ill patients. She subsequently completed an Honours degree in biology, a Masters in Health Science, and a PhD on health care students’ hand hygiene knowledge, beliefs, practices and education. This research included the development and validation of a Hand Hygiene Questionnaire which was administered to nursing and medical students in Bachelor’s programs from 20 universities in four countries. 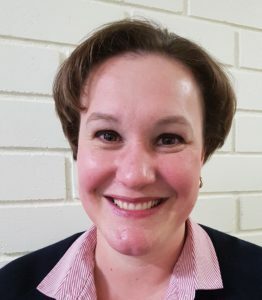 She went on to teach microbiology, infection control and epidemiology to undergraduate and postgraduate nursing and public health students, and is currently teaching into the Griffith University Postgraduate Infection Prevention and Control Program. Thea has been conducting infection prevention and control research since 1994, and has published multiple papers on topics including hand hygiene, health care workers attitudes towards Hepatitis C, and doctors’ antimicrobial prescribing practices. Peter has a background on Education having worked in secondary schools for almost 40 years. Subsequently he has had extensive experience in professional organisations (including the Australian Secondary Principals’ Association Inc), and health administration, being a member of the Board and past Chairman at Stawell Regional Health as well as experience as a member of a number of advisory committees dealing with primary care, services for older people, the provision of training for board members, and the allocation of funding in rural areas. Peter is a community-minded person being a member of his local Lions Club for over 35 years. 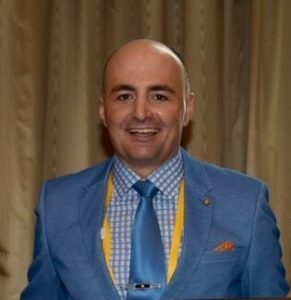 He also has experience in the regulatory sphere having been a non-practitioner member of the Dental Practice Board of Victoria and the Dental Board of Australia. Peter commenced his two year term in January 2016. ACIPC is the peak body for Infection Prevention and Control professionals in the Australasian region. Our vision is to be the peak body and voice for infection prevention and control professionals focused on providing leadership and promoting education and evidence-based practice outcomes for a healthy community. The office is open from 9am to 5pm from Monday to Friday.